Organised labour in Nasarawa on Friday declared an indefinite strike over the state government’s decision to cut workers’ salaries by 50 percent. Governor Umaru Tanko Al-Makura had also declared there was no going back on his administration’s decision to cut down salaries of its workers. Comrade Abdullahi Adeka, the Nigeria Labour Congress (NLC) Chairman and Danladi Namo, Trade Union Congress (TUC) Chairman, stated this while addressing journalists at the Labour House in Lafia. They said the state government’s reluctance to reverse its decision have left them no choice but to declared indefinitely industrial action over 50 percent cut of their salaries. According to Adeka, the indefinite strike action by the entire workers in the state followed the inability of the state government to reverse its decision to cut their salaries by 50 percent. “We staged a peaceful protest to the government house on Monday 4, where we made it clear that if by the government did not reverse its decision to cut our salaries would embark on strike. “We told the Deputy Governor, Mr. Silas Agara who came and received our petition on behalf of the Governor that at the close of work on Monday, government must reverse the workers unfriendly decision or face strike. Also reacting on the matter, the TUC Chairman explained that government in its usual characteristics has resorted to intimidating workers especially Permanent Secretaries and Directors. He assured all categories of workers in the payroll of the government of the state to continue to remain at home until they receive further directive form the union. He, however, thanked all the workers across the state for their usual corporation and promised them that there would be light at the end of the tunnel. But our correspondent, who went round the capital to monitor situation on ground sighted at Nasarawa State Youth Empowerment Scheme stationed at the entrance to the leading to Secretary to the Nasarawa state government gate. Further observation by our reporter also indicated that all government ministries, departments and agencies in the state were completely shutdown. 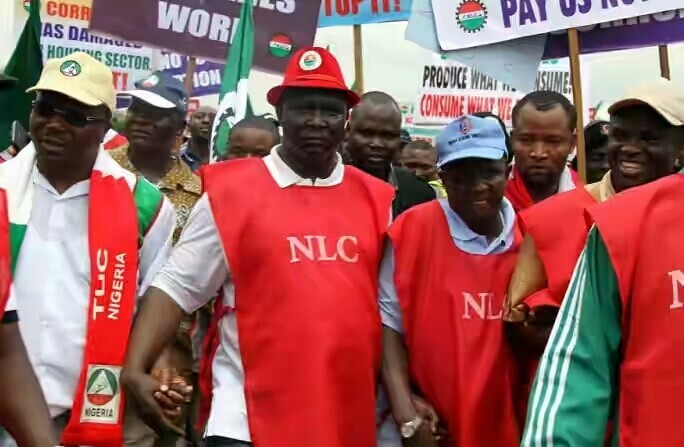 It was gathered that any attempt by NLC and TUC to force directors of various ministries out from their offices would be attacked by NAYES.